It is employer led. The UTC was set up to provide a skilled future workforce for businesses in the region. This means a focus on developing the workplace skills and technical knowledge most desired by employers. Employers are directly involved in the selection of courses and design of the wider curriculum. It is destination focused. The crucial focus of our work is in supporting young people to outstanding careers. Students are more engaged in their learning when they understand why it’s important and where they are heading. High quality internal and external careers advice, combined with CV writing and practice with interviews and assessment activities ensure that students are well prepared for their next step. It provides a balance of academic, technical and workplace learning. 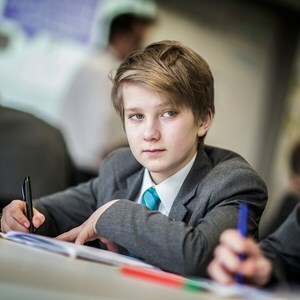 We recognise that students have a broad interest in STEM subjects and that the curriculum is balanced to give students a taste of a range of areas, including some choice of specialist qualifications. We are clear during the recruitment process that the UTC is only suitable for young people who are focused on STEM subjects. It promotes student wellbeing. We recognise that our students join the UTC from a variety of different contexts. We aim to stretch them but crucially we must help them build their confidence and sense of self. Our curriculum plan is built around a challenging academic and technical core but needs to respond to individuals and their starting points; this might mean a reduced or tailored curriculum for some individuals.